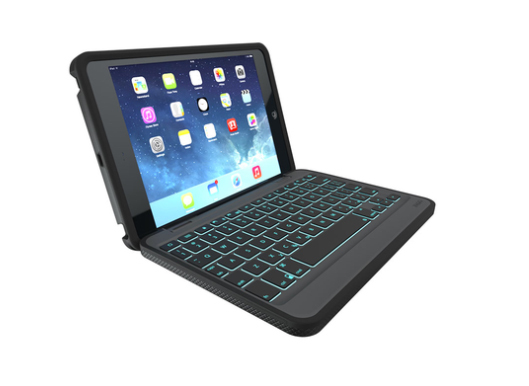 Popular keyboard case maker ZAGG has just added a new choice to its comprehensive lineup – the Rugged Folio. As the name suggests, the case is designed to offer an extra layer of protection for an iPad. But the Rugged Folio can also easily convert into one of four handy modes thanks to a magnetic hinge. When you’re done with typing, the tablet can be quickly removed from the keyboard for a case-only mode. Book mode keeps the keyboard and case together while video mode can place the iPad in a number of viewing angles. Along with a backlit keyboard, ZAGG says the built-in battery can go for up to two years before needing to be recharged. Here’s a quick promo video of the case. Click here if you can’t see it. The keyboard can be purchased now from ZAGG along with your local AT&T store or site. A version for the iPad Air will set you back $149, while the case designed for both generations of iPad mini is $139. 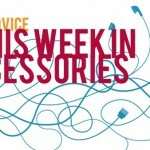 My colleague Joe White recently reviewed another option from the company, the ZAGGKeys Folio Keyboard Case, and came away impressed. 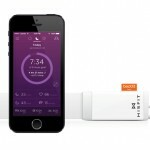 For other recent accessory news, see: This week in accessories: Felix RoadShow, Marshall Headphones Case and more, Misfit moves beyond fitness tracking with its new Beddit Sleep Monitor, and Wink app goes 2.0 with support for more 'smart home' products from more brands.